Qosmotec’s Sales Partner Ferdinand Schuber demonstrates the validation of propagation models in Car2Car Communication testing. 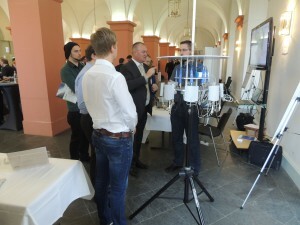 A message from Niels Peter Skov Andersen, General Manager of the Car2Car Communication Consortium, was reason for controverse discussions at the 2015 Car2Car Forum in Mainz: He announced that the Consortium members have agreed to delay the deployment of ITS-G5 communication in Europe to 2019. What sounds as a significant backslash for the technology is a big chance for test and simulation tools like Qosmotec’s QPER-C2X. “Those who have invested years into this communication technology must take care now that their developments do not become obsolete by modern communication technologies like LTE direct. 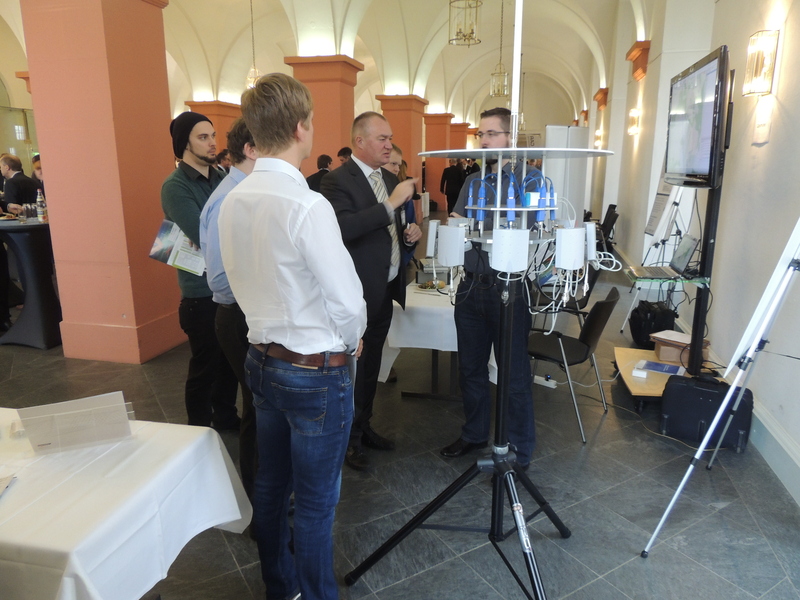 They depend more than ever on efficient test systems that allow to test communication between cars in the lab in order not to lose even more time now”, says Qosmotec’s General Manager Mark Hakim, who is attending the congress together with our Sales Partner Ferdinand Schuber from FSTC in Vienna. 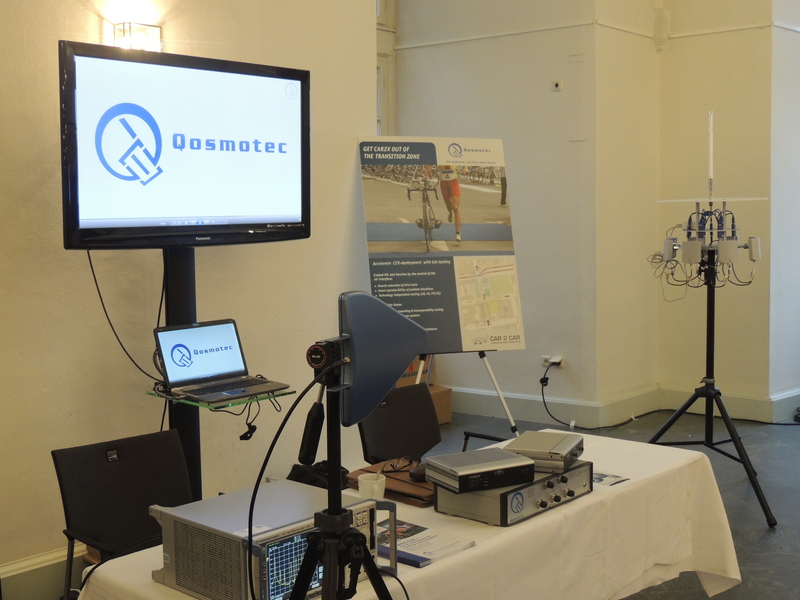 The focus of Qosmotec’s booth presentation at the congress is to show a method for validating the channel models that are applied in QPER for signal propagation by comparison with measurements on the road. For this purpose, Qosmotec’s certification partner CETECOM has developed a 8-sector transmitter that can be used to verify the signal propagation on a selected area and compare them with the results of the propagation model. We demonstrate in the congress hall, how these measurements are done and that signal reflections on walls become easily visible with this method. “We have been often asked about the accuracy of our models and now we can show that our simulations and predictions are reliable even for dedicated areas,” says Ferdinand Schuber.